If you're a sporting enthusiast and you've been looking for a great deal on antimicrobial nanosilver sportswear, this is your chance to pick up some great nanosilver sporting tees (or boxer briefs) at rock-bottom prices. You can thank the anti-silver environmentalists, later. After all, they’ve been doing everything in their power to make it more difficult for companies to sell clothing and other products with antimicrobial silver protection. Now many of these companies are dumping these products at a fraction of the usual cost rather than face huge fines from the EPA! I don’t usually shill for other company’s products. But this deal is just too good to pass up if you’ve ever wanted to try antimicrobial nanosilver sportswear. 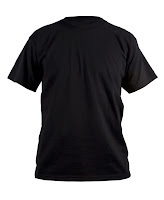 Cabela's has put their Silvertec Performance Crew Neck tee-shirts on steep discount. I don’t know for sure, but it looks to me like the environmentalist campaign against nanosilver in consumer goods is pushing them to dump their stocks of these products at bargain prices. These sporting tee-shirts are infused with silver nanoparticles to help stop body odors caused by germs, and also for increased wicking of moisture away from the body. Notice on their web site at the link above how Cabela's can barely mention the antimicrobial aspect of the product, which I assume is due to the way EPA regulations now make it virtually illegal to say the silver kills infectious microorganisms. You see, when a company makes that very legitimate claim, the EPA says the claim automatically turns the product into a “pesticide,” and the product has to be registered with the EPA and run through an expensive gauntlet of tests to prove it won’t harm the environment. That’s your tax dollars at work, folks! By the way, Cabela’s has also put their Silvertec Performance Boxer Briefs on sale at the same rock bottom price. I’d say get two in every color, but they only have them available in one color, i.e., black, with silver lettering on the waistband. So if you’re a Raiders fan, you’ll love ‘em. And if you’re not, who’s gonna see ‘em, anyway? Yep, these are the very same types of products the environmentalists are coming unglued over because they claim that after multiple washings some of the silver nanoparticles might escape into the environment and wreak havoc on tiny critters. Of course, they never mention the silver came from the environment in the first place. Meanwhile, if you've been looking for a great deal on antimicrobial sportswear, this is definitely your chance to thumb your nose at the greenies while picking up some great nanosilver sporting tees or boxer briefs at super low prices that will probably never been seen again, thanks to the pressure being put on these companies to stop carrying nanosilver-related products. Meanwhile, if you’re interested in learning how to make your own infection-fighting colloidal silver, quickly and easily, for just pennies per quart, click the link.